31st January:At the Television Critics Association session on 31st January, CW Network President Mark Pedowitz announced the renewal for Season 15, along with his perennial assertion that the show would run “As long as the ratings hold up and the guys (stars Jared Padalecki and Jensen Ackles) want to do it, it’s really that simple. They have created something about these two brothers that actually transcends.” Pedowitz also lauded the Supernatural's importance to newer CW shows. 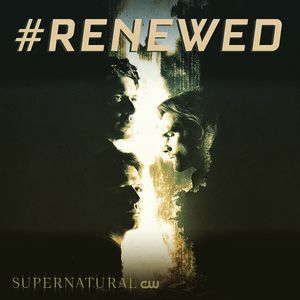 “The show has been the lead-in or lead-out to all the successful shows on the network.” Given the many other spin-off shows on the network, Pedowitz was asked about the possibility of a Supernatural spin-off. While not ruling out the possibility, he stated that there may not be a franchise beyond the show. This follows the decision not to pick-up the popular and critically acclaimed Wayward Sisters spin-off last year. 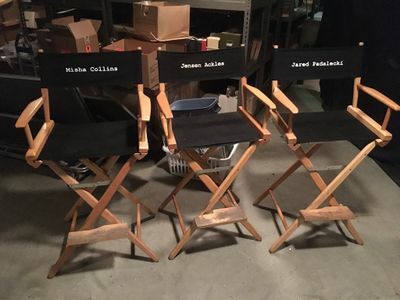 Jensen This was not an easy decision…It was months and months, if not years of discussion between he and I, between the rest of the cast, between the crew, between our writers, our producers, between the studio and the network. Nobody wanted to see this show fizzle out. It was everyone wanting to do the biggest service to the show that we could by going out strong. It just seemed like the writing was on the wall as to when that was happening. I think everybody felt that it was coming soon. So it was just taking that leap of faith, going, guys, lets get out the paint and paint our finish line, because what we’ve accomplished is unlike any other. I made an analogy last night – it’s like we’re driving the Impala, and we’re headed down the road and it’s like, left you’re going to hit a ramp and go off a cliff and it’s gonna be epic, or right you’re just going to run out of gas about 30 miles down the road in the middle of the desert with nothing around you. I’m like – I’m going left!